An acclaimed international public art festival, Nuart returns to Aberdeen, Scotland for its third year this April, once again bringing together the most interesting and relevant Street art of our time. 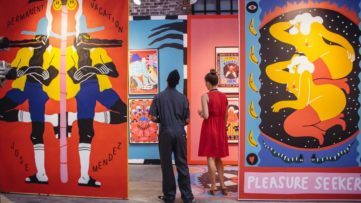 Dedicated to promoting art as part of people’s everyday lives, to bringing art and artists out of studios, basements and institutions and on to the city streets, the festival aims to stimulate debate by challenging entrenched notions of what public art is, what it can be and who it is for. 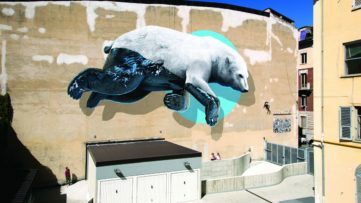 Nuart Aberdeen 2019 will bring together an impressive roster of 13 international artists to the Granite City – Anders Gjennestad aka Strøk, Axel Void, Ben Eine, Dotmasters, Ememem, Evol, Hama Woods, Helen Bur, Hush, Jan Vormann, Julio Anaya Cabanding, Smug and Vhils. From soaking up the atmosphere of Inspired Nights on the Green, taking part in walking tours, engaging in debate and enjoying exclusive film screenings, there is a lot for the public to get involved with. 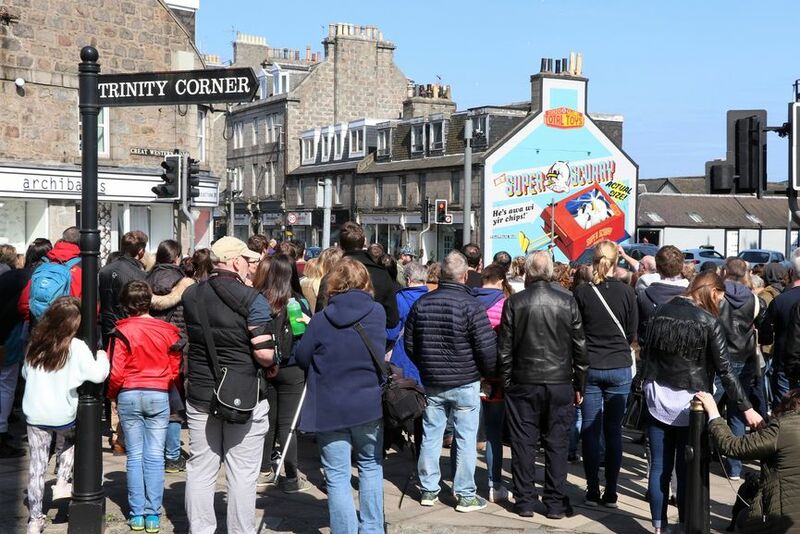 Once again, local, national and international artists will have an opportunity to showcase their work through a series of site-specific murals, installations interventions and temporary exhibitions at Nuart Aberdeen 2019. Coming from Norway, Anders Gjennestad aka Strøk is his multi-layered stencil work characterized by photorealistic images that play with both our perception and perspective in equal measures. A multimedia artist driven by a passionate interest in the art of storytelling, Axel Void explores the untold stories of ordinary people, everyday moments without facade or flair. He presents characters with an inherent familiarity which ascend to metaphors for the human condition. A pioneer in the exploration of graffiti letterforms, Ben Eine developed his distinct typographic style characterized by its colorful and bright nature. His distinctive letters spell words and phrases across walls, engaging the public in a unique way. An intrinsic part of the early days of Nuart Festival, The Dotmasters will create street-based illusions that will fool your mind with his sideways look at populist media and a typical English sense of humor. Coming from France, Ememem is known for his colorful interventions on roads and sidewalks, turning potholes and cracks into “puddles” of color with locally sourced ceramic tiles and grout. Evol employs multi-layered stencil techniques to transform electric enclosures, concrete planters and other familiar elements of the modern city into unique pieces of art, aiming to depict the urban lives of ordinary people. A stencil artist coming from Oslo, Hama Woods finds inspiration in nature and its immediate connection to humanity, aiming to challenge viewers to rethink the choices they make. The British artist Helen Bur explores and embraces painting’s role and ability to provide a contemporary social narrative. 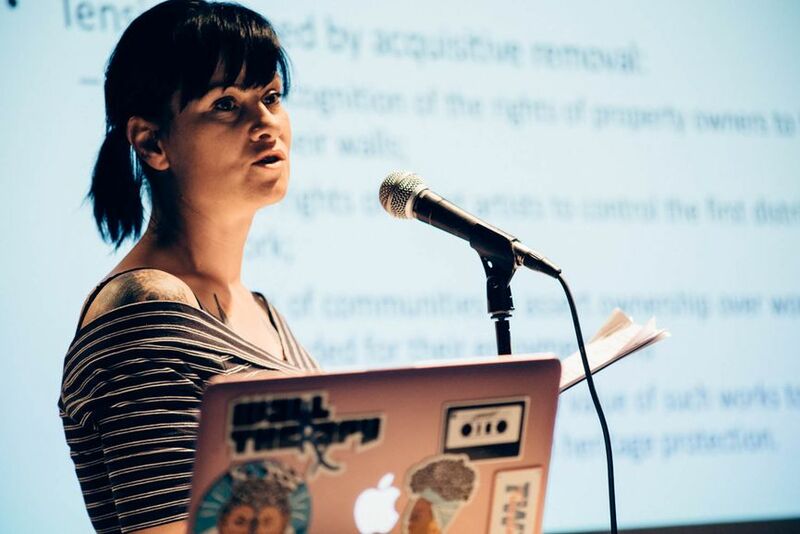 She combines images from the mass and online media to examine the oversaturation of imagery and information in our society. Stimulated, influenced and driven by his cross-cultural experiences, Hush has developed a unique style by layering complex textures and colors in a fusion of anime, pop-graphics and graffiti. 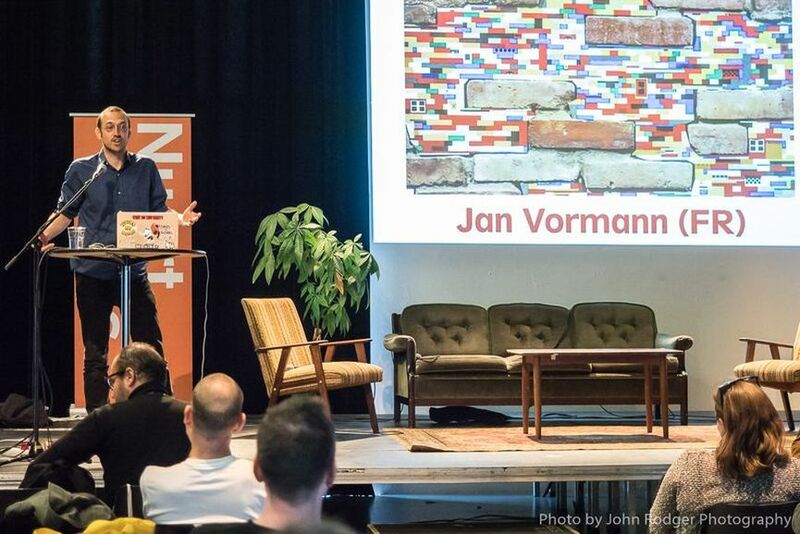 Known for his project Dispatchwork, Jan Vormann uses LEGO bricks to repair damaged walls. He describes the project as “a forum to further develop, piece by piece, a global game together.” Carrying out pictorial interventions in abandoned places, Julio Anaya Cabanding unlocks the paintings from the sacralized space of the museum, generating new meanings in that encounter. Known for his photo-realist graffiti work, Smug creates highly technical figurative pieces that retain that edgy, cheeky, and playful side of traditional graffiti whilst embracing more established elements of figurative fine art. Destroying to create, Vhils is famous for his dramatic, oversized portraits carved directly into outdoor walls. 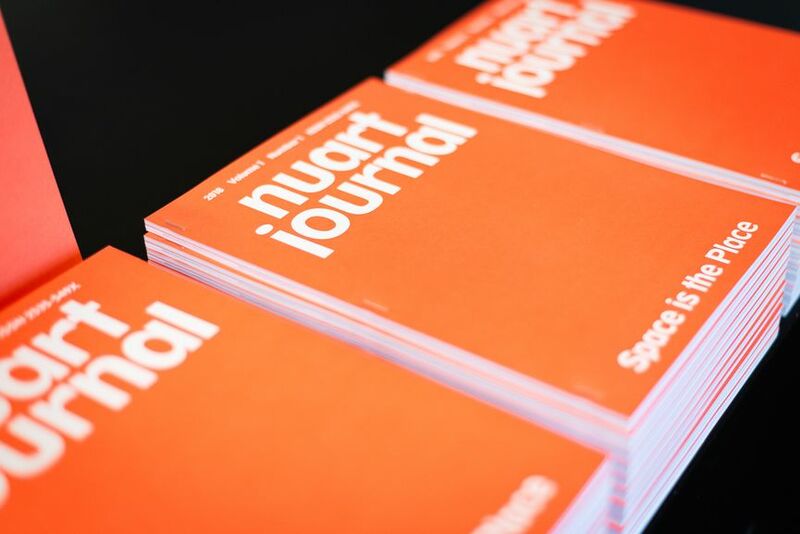 The Nuart Plus program of events will kick off with exclusive In Conversation event with playwright, designer and celebrated Scottish artist John Byrne, taking place at the Belmont Filmhouse on Thursday, April 19th. 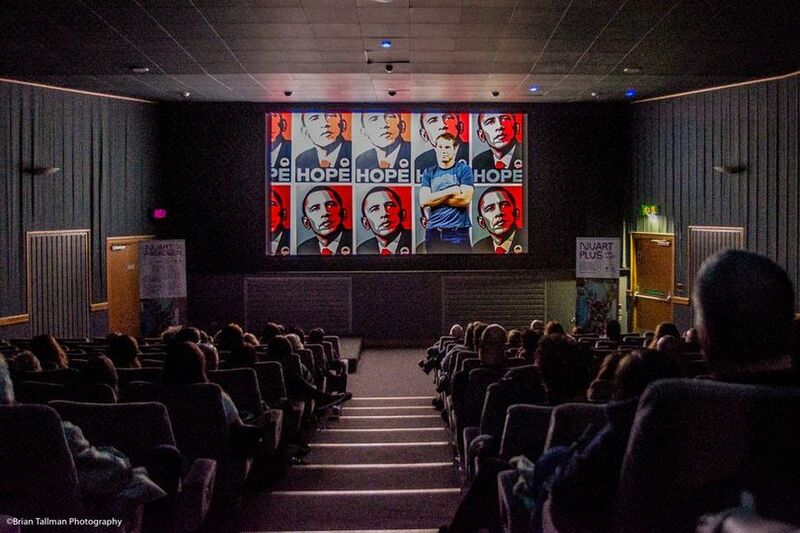 Over the course of two days, Nuart Aberdeen’s International Street Art Conference will present talks and presentations from this year’s artists, along with insights from writers, curators, filmmakers and researchers, who will explore global issues that surround the street art phenomenon. One of the keynote speakers will be an award-winning critical criminologist Professor Jeff Ferrell coming all the way from Texas. 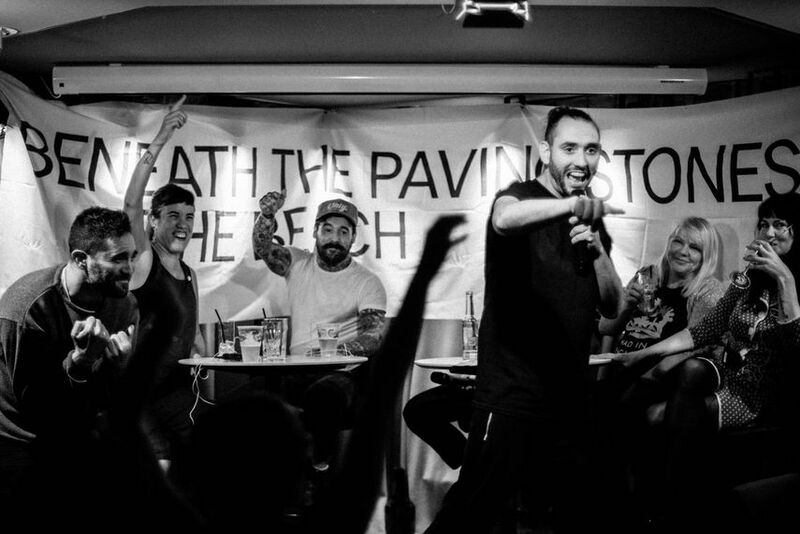 The Belmont Filmhouse will also host a range of other events throughout the festival, including an exclusive premiere of Imaginary City, a poetic visual essay which traverses the history of this renown urban art festival on Friday, April 19th, along with a Q&A with the filmmaker Kristina Borhes. Other highlights include a conversation between artist Axel Void and editor-in-chief of Juxtapoz Evan Pricco, discussing the many stories, varied collaborations, and human encounters, behind the artist’s work and adventures, the new edition of Fight Club, a public debate with two teams of artists and academics battling, and a documentary which provides an insight into the Graffiti Grandmas phenomenon, and psychogeographic tours by street art scholar Javier Abarca entitled Parallel City. 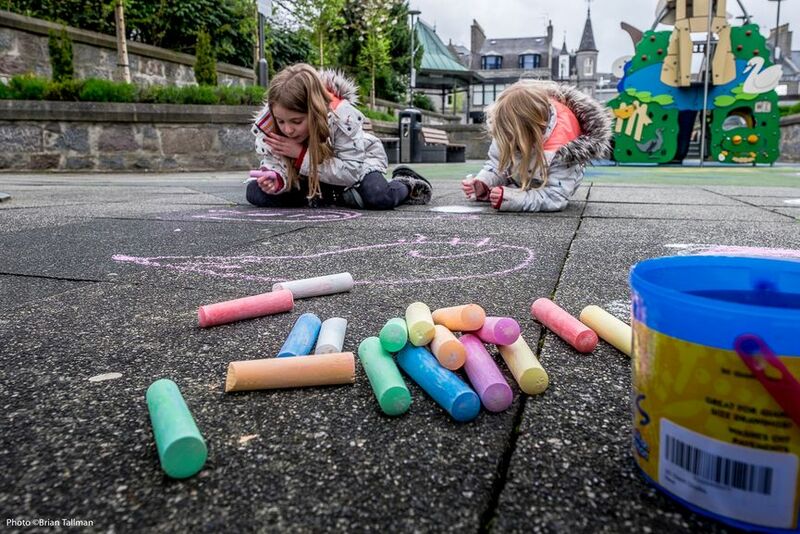 Nuart Aberdeen 2019 will take place in Aberdeen, Scotland between April 18th and April 21st, 2019. For more information, visit the official website of the festival. 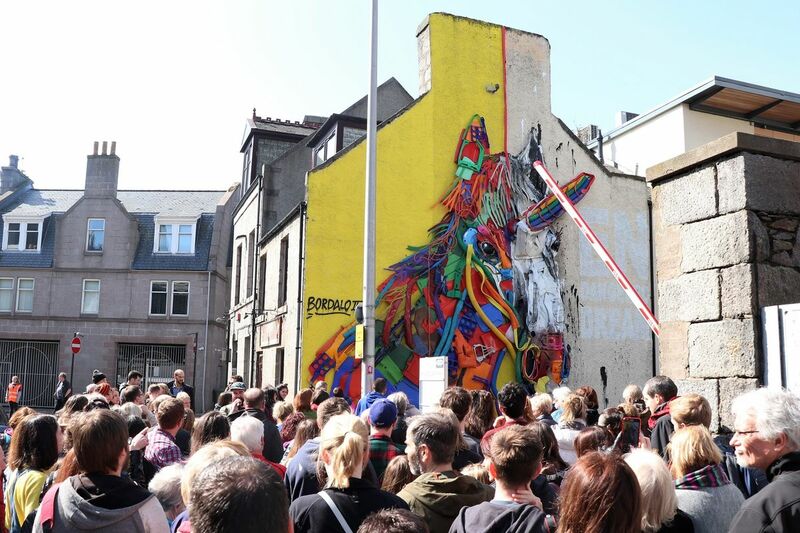 Featured images: Walking Tour at Nuart Aberdeen 2018 © Emma Walker; The Conference at Nuart Aberdeen, 2018. Photo by John Rodger; Nuart Journal; Dr. Susan Hansen; Chalk don’t chalk, Nuart, Aberdeen, 2017 © Brian Tallman. All images courtesy of Nuart Aberdeen.